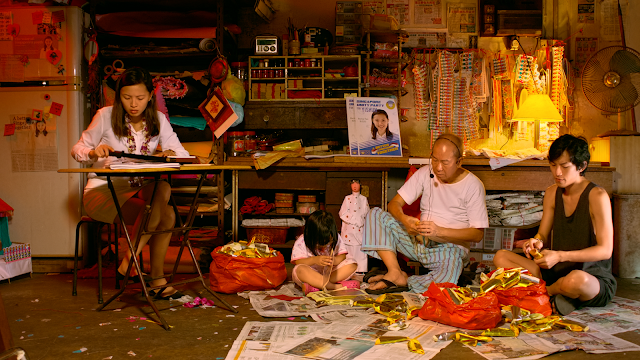 The conversations about motifs in Singapore independent films started approximately with film writer Ben Slater’s observant labels in his 2006 essay about Singapore cinema titled ‘Singapore Shorts DVD’. ‘Disconnected Modern Lovers’ and ‘HDB Whimsy’ were two of the terms he cooked up to denote the de rigueur cinema during those times, with the former referring to attractive leads falling in love against familiar city scapes and a Mandarin voiceover while the latter referred to stories of children or youths misunderstood by arguing parents against a HDB flat backdrop. It’s funny how these motifs have morphed through several iterations over the years and new twists have emerged while some elements never seem to die. Among the new twists, some played the ‘race’ card, exploring inter-racial relationships, while some others waved the PG card, in which PG = Pioneer Generation. If there was one element that never seemed to go away, it’s nostalgia. I blame Royston Tan for planting the seeds of that and perfecting it. For a good 5-6 years, nostalgia rained on our screens first like a soothing shower but subsequently like torrential rains. SG50 also provided that excuse to layer that sepia filter. 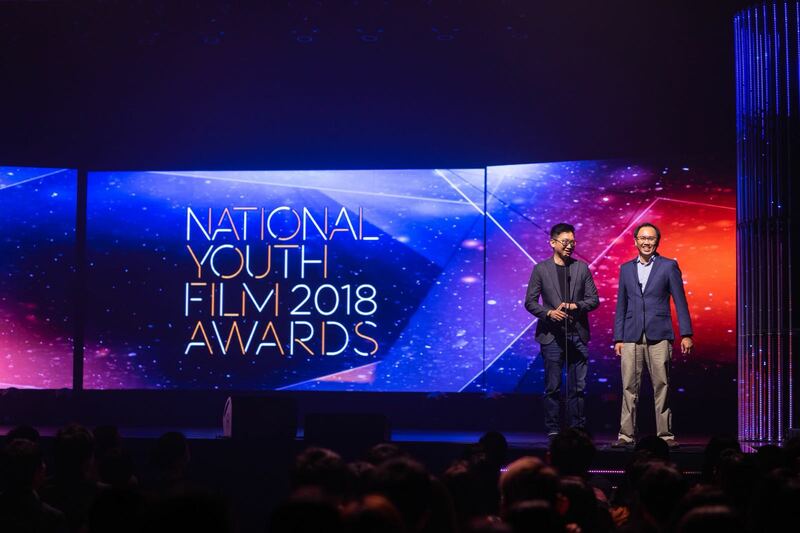 This year, I agreed to come on board as part of the pre-Jury for Singapore’s National Youth Film Awards (NYFA). 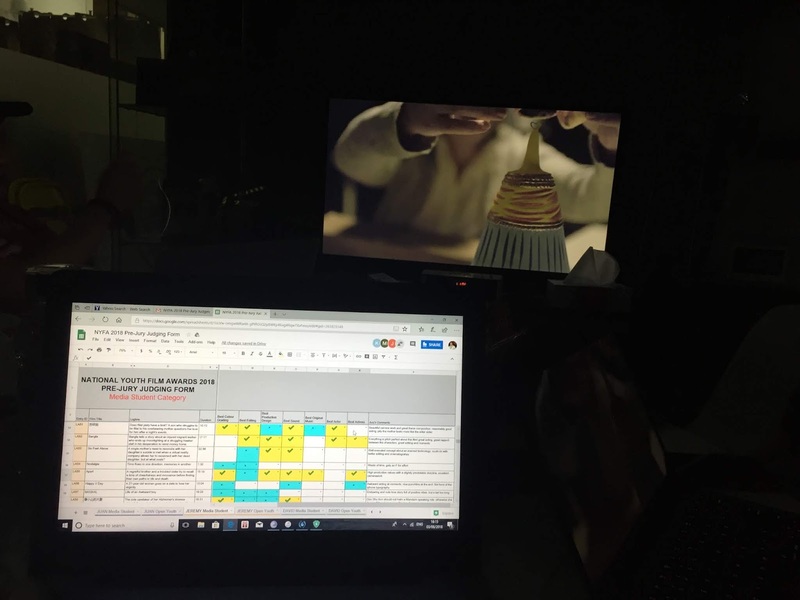 This was an exercise I was underprepared for, particularly since I was told I had to watch close to 200 short films in order to shortlist nominees. Not since the SIFF Singapore Shorts showcase which they used to have as a fringe event, had I watched through so many short films at a go. Out of prejudice, I thought I was going to sink into a kind of ‘HDB Sonata in D Minor’ zone with more families in gambling debts, kids under exam pressure or someone reminiscing the taste of his late grandmother’s Ang Ku Kueh. I was a quarter right. This year’s crop of entries actually reflected a bit more risk-taking and wanderlust than I expected. Nostalgia was reduced to a whimper for once and other material have come to the fore. When you run out of stories to tell from your four walls, you look into the fifth dimension. Inspired by the likes of Christopher Nolan’s Interstellar, we are slowly perfecting the art of marrying technology with human drama. 2.0 was a brave attempt in imagining a world in which social media likes become currency and popularity can buy you a fortune. The filmmakers had processed and stretched the idea rigorously enough, imagining the pursuit of cyberspace fame in overdrive, when a mother loses her identity to earn likes for her fame-obsessed daughter. Jon in a box imagines a spine-tingling future in which we could be literally wired up and controlled by larger systems. In Stealing Faces, Singapore becomes the world’s leading nation for plastic surgery and as anticipated, it is a story about moral dilemmas and a certain greed for beauty. 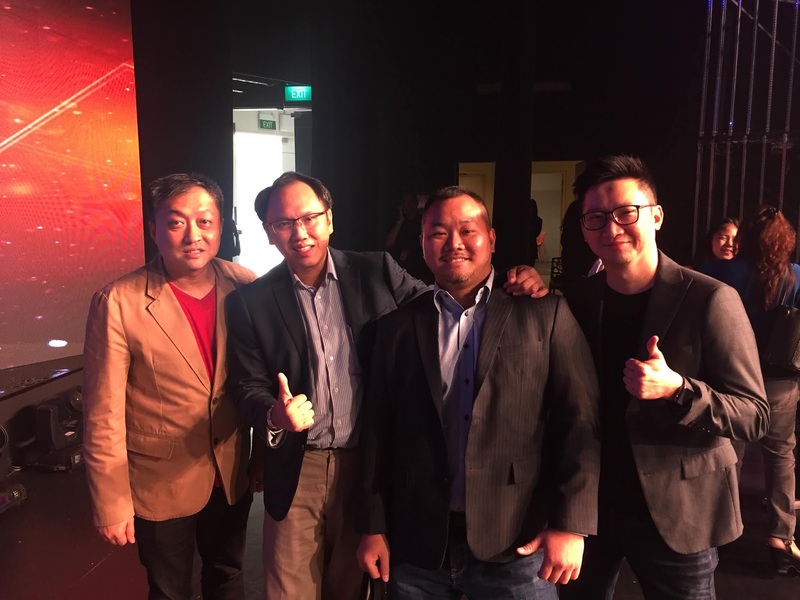 The future of AI has captured the imagination of filmmakers for a long time and really, no one has a monopoly over what our lives would be like when AI becomes the cerebral centre of our societal machine. 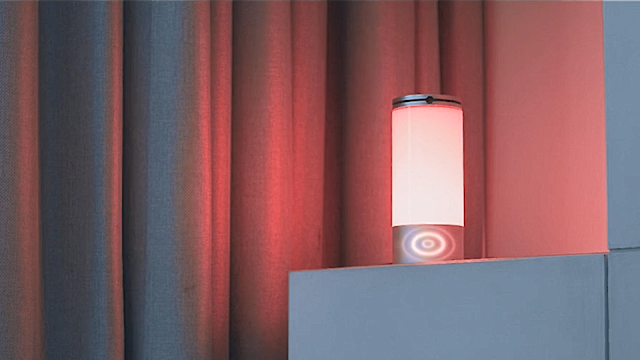 With unmistakable motifs from Spike Jonze’s HER, Something Went Wrong crammed some thriller vibes into the constraints of a short film, depicting what happens when your smart assistant, Laura, develops a mind of her own. The most obvious hurdle standing in the way of choosing the science fiction genre is budget , or rather the lack of it. But the subtler challenge in introducing technology as a character is humanising it. The following characters are hard to direct but cinematic gold when put on screen - children, animals and old people. To some extent, the intention of putting a microscope on their helpless eyes, wrinkled arms, weathered faces and cranky temperament borders on exploitative. Increasingly, every family here in Singapore will have their share of old men problems at home, so little surprise this, and not children refusing to study, has become the ore representative HDB drama. 像小山的大象 is a classic story of a filial daughter struggling to take care of her father due to his Alzheimer’s disease, with her greatest despair coming from the fact that he is starting to lose memory of who she is. Linger features a naggy old man giving his son a dos and don’ts lecture on consuming a durian. But there is a twist and the clue lies in the father’s rather spacey delivery of his spiel. Hello Goodbye filled the familiar niche of the nursing home tragedy. An old man rolls himself to his daughter’s workplace on a wheelchair just to catch a glimpse of her. The age-old formula of pitting old against young was used in One Hour Two Dollar, about a latently sweet encounter between a young who wants stay overnight at the gaming shop because he had bad grades and the owner who is a cranky old man. Somehow this was an entry I found myself alone in my adulation of, as opposed to other entries with unanimous love from the other jury members. I thought of all old men, it has the most relatable old man. He wasn’t asking for sympathy. Quite a badass at first encounter but your heart goes out to him when the landlords come closing down his shop. Not forgetting, there was a ballsy old male cleaner who gatecrashed a boardroom meeting in an act of protest in Salvation, an eco-conscious entry about man versus establishment. Somewhat off the beaten track and totally necessary. Old women were somewhat lost in the clutter compared to old men in this year’s crop of entries. Other than Beatrice Chien’s angry rant andbold swimsuit appearance in Joyride. Not that there no old women stories but perhaps we have seen enough of their prototypes - long suffering granny who is forsaken by her family or grandchild remembering his grandmother’s (Fill in this blank with your favourite food). If we wider our lenses a bit and look at the larger and more evergreen ‘Mother’ thematic strand, the selection is more compelling. I am personally attracted to the works that subvert the conventional virtuous image of a mother because mums can fight back and or go astray too. 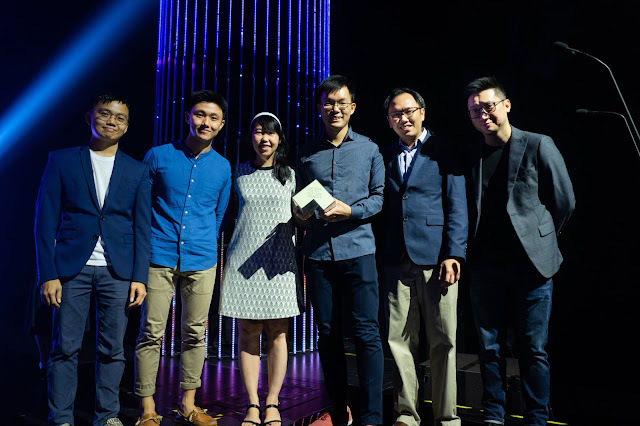 One name has emerged as a mum of a thousand faces - Kelly Lim, who unfortunately did not qualify for the acting awards due to her age. 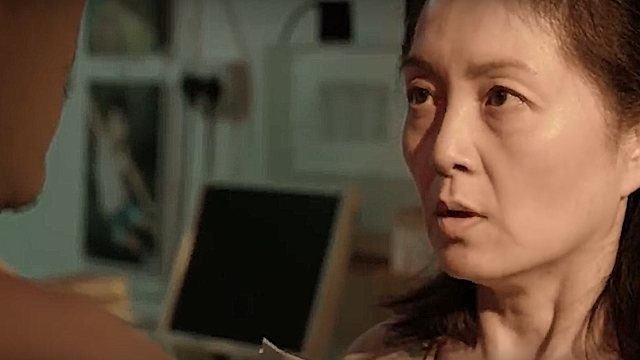 Kelly Lim is like the Yong Tau Foo of Singapore independent cinema - she gives content real meat and substance and is so ‘everyday‘ in her appeal. Without noticing, she is quite the pillar in most films she appear in. Other actors will find big shoes to fill if they try to play the archetypal docile housewife she has perfected. She is kind of like the gentler equivalent of what Yeo Yann Yann would play. This year, it is heartening to see Kelly step into more wayward roles as a scheming evil mother who plotted the death of her daughter in Daisy and a mother desperate for connection with her daughter who helps her cheat in the exams in Chasing Paper. Someone hand Kelly an award please. Death has always had a colourful face. Films about death have typically deal with the aftermath or afterlife, with the aftermath most commonly manifested as family feuds over the deceased’s estate. 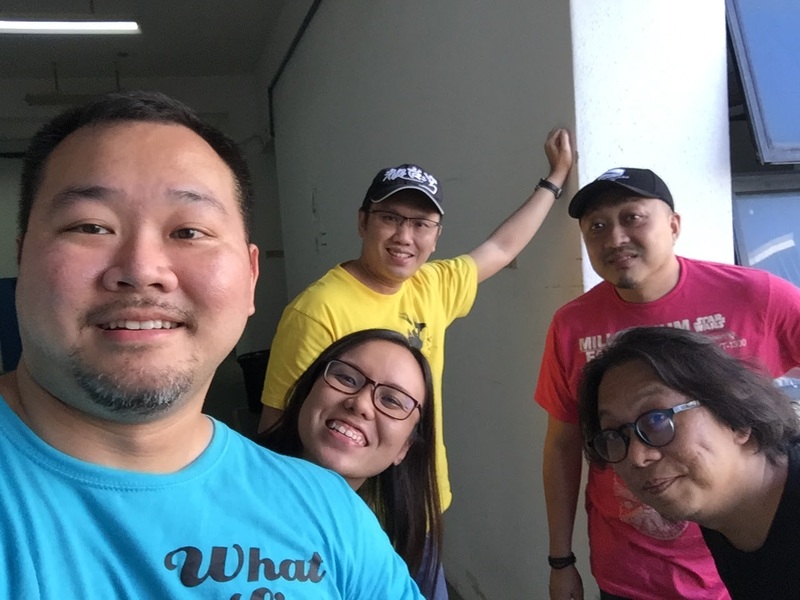 We have seen enough of the HDB funeral drama where siblings argue over who took care of the deceased the most, against garishly-coloured paper offerings as a backdrop. There were a few novel attempts at reinventing the genre of death. Such is Life is a karmic tale about the trade of embalming the deceased told with the zest and colour palette of a candy-hued telco commercial. Think StarHub and some of their quirky ads. Have a Nice Death envisions the job of a call operator for the newly-dead. He basically picks up their calls and directs them to where they should go, wishing them ‘Have a Nice Death’ before he hands up. Again, the tongue-in-cheek humour subverts the notion of death, making this a rather enjoyable tease. Chopsticks, a rather unassuming film (due to its simple set up, humble cast credentials and no-frills cinematography), delights with an ingenious payoff at the end. It tells a simple tale of how a granddad bonds with his grandson through lessons on using chopsticks. This lesson proved priceless. Bobo Fishball take note: this could be your next winning TVC idea. Unsurprisingly, films material about foreign workers featured in this competition and actually outperformed the others. Bangla which won Best Film in the Media Student category, is an unassuming film with an reaffirming note on humanity and compassion, telling the story about a friendship between an injured Bangladeshi worker and his temporary hawker stall employer who secretly hired him. 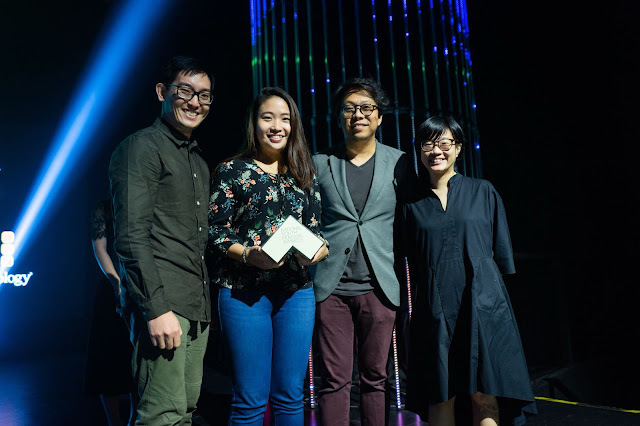 Another outstanding foreign worker film was Ave Maria in the Open category about the Filipino flame of a domestic worker who came to Singapore to search for her after she had become uncontactable. Unfortunately, the actors in this film did not qualify for any acting awards because of their nationality. They would have swept the acting awards if they did. Singaporeans are quite a literal lot. Somehow, we tend to lack the innate ability to see poetry in things. Our creativity comes more in the craft than in the idea. The following films stood out from the clutter for their courage to bring to light new material or bring to our consciousness new voices. Breakdown is refreshing in how it finds boiling point drama in a mundane situation of carrying out patrol duties and the characters are torn between their regimental identity and personal identities. Acting 101 depicts a couple mending their broken relationship though taking part in an acting class. Not award-winning material, but the acting class illuminates their grievances in a whole new way. Scentiment deals with memory and focuses on something film cannot capture- scent. A widow misses her late husband and certain scents trigger off his imagined manifestations. Clever twist at the end as well. 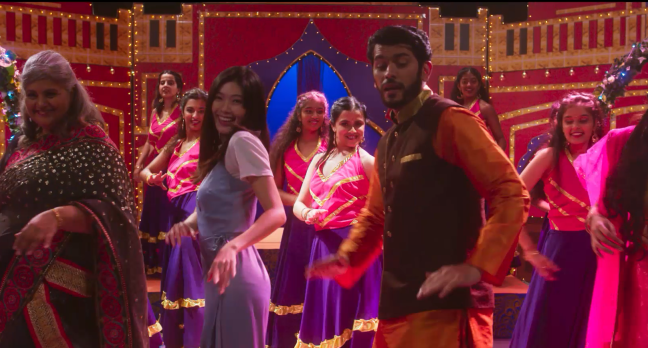 Oh Meri Jaane Jaan is a short film you cannot miss for its ambitious ‘appropriation’ has of Bollywood splendour. A lady who complains about her neighbour watching his noisy Bollywood show finds herself, well, transported into one, as one of the characters. The effect, though not hilarious, is cute and no effort was spared on the glittery costumes or the droves of backup dancers. The Parchment, which won Best Lighting, was a film that rested on a very dark premise – child sacrifice. I applaud the filmmakers for daring to go all the way with the gore and their sensitive hand in directing this psycho-thriller. 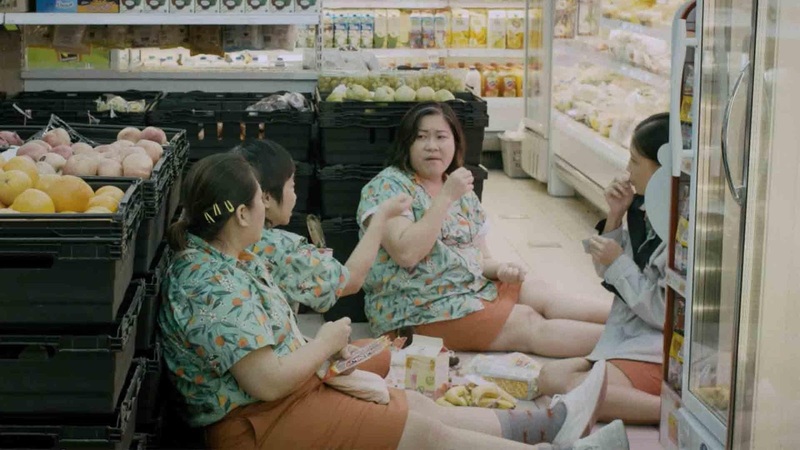 CASH was a delightful dark comedy about a mutiny by a group of auntie cashiers at your neighbourhood supermarket against their bosses. 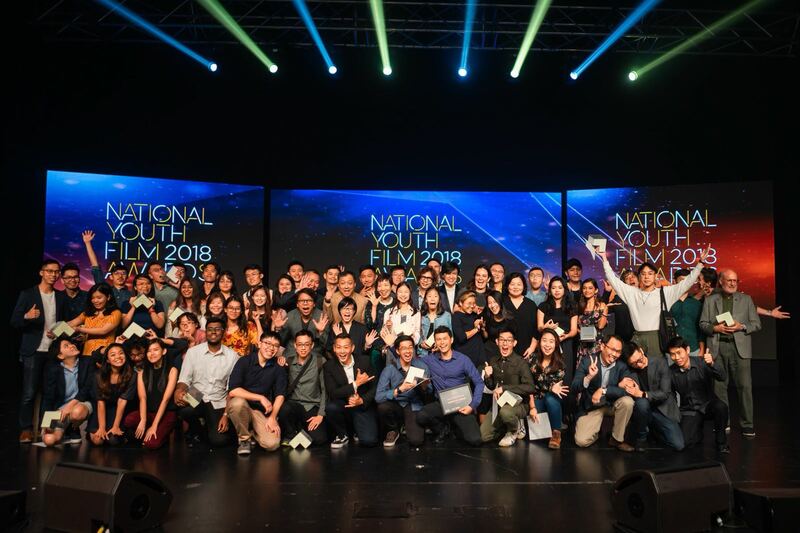 A seemingly difficult notion like that in docile Singapore, was brought to life and colour under the skilful hands of director Tan Wei Ting who won Best Director in the Open Category. A near-pitch-perfect film in which everything fell right into place, chiefly from having a heaven-made quartet of aunties fronting this drama. If there was one film that reinvented the heartland motif, it was Better Together. No surprises if you are guessing it sounds like a political campaign tagline. Seemingly-fashion after an iconic feet-stomping young female politician in the 2011 elections, Better Together tells the story of a young lady who needs to find the balance between managing her family relationships and chasing her political ambitions. Though, not brilliant cinema, it incites and provokes, especially with familiar tokens of election fever like the orchid garland, the flags and the posters. I thought it was rather endearing how her posters were DIY courtesy of her family’s printing machines (they run a printing business), though it wasn’t clear whether the ‘white party’ which she is part of is an incumbent or an opposition party. Watching 200 (close to) films was indeed a mammoth task to finish but evidently, the breadth of genres made it breezier. I was so glad there were no clones of dinner table family drama, young men going through the military rites of passage ala Ah Boys To Men, posey gangsters giving us lessons on brotherhood and most of all, our old friend, nostalgia, for the sake of nostalgia. However, we are always going to be fixated on something and indeed if these entries are anything to go by, I am glad our conversations about local short films will move on to new turfs. To end off my little spiel about the NYFA entries, this little film deserves a prize for being the only film that all three pre-jury members re-watched together in Nicholas Chee’s (director of NYFA) cosy office – The Dancer. 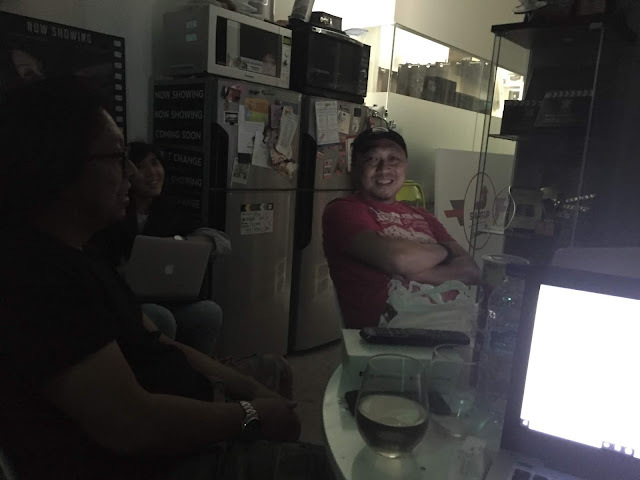 Horror in the confines, chiefly the time constraint, of a short film seems not shiok at all. But try watching The Dancer alone in the office late at night and you will know what I mean.